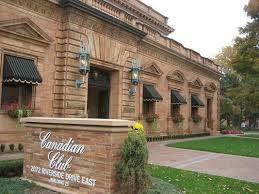 Hiram Walker, a successful grain merchant, founded what would become Canadian Club® in 1858. Our first distillery was established in Walkerville, Ontario because of the exceptional quality of the local grains there. In those early days, if you wanted whisky, you took your own jug or bottle to the local store and filled it from a generic barrel. We didn't care for that idea. Our whisky was different--smooth and easy to drink and we wanted people to know who made it. So we branded our barrels with our name on it, as a signature of confidence and assurance of quality. "The nose is of medium-body with notes of barley sugar and aniseed, notes of cut grass and fennel, a hint of straw and a vegetal freshness. The palate is quite sweet and gentle. There are notes of winter spice and dark sugars, a touch of rum. The finish is of medium-sweetness and of medium-length. "